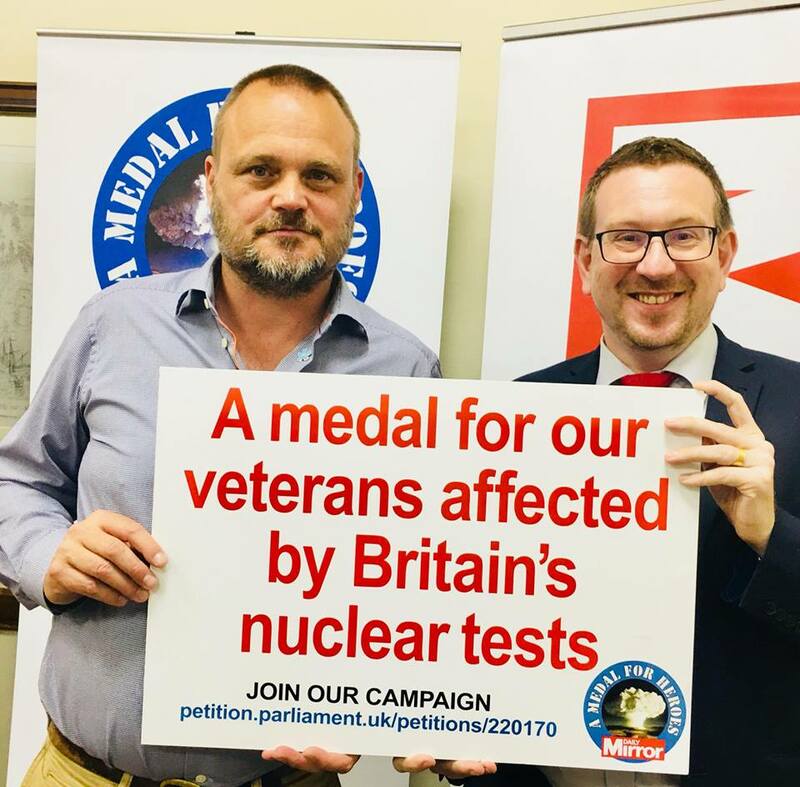 Denton and Reddish MP, Andrew Gwynne, has backed a campaign to honour our nuclear test service personnel and veterans with a medal. Thousands of servicemen were sent to Christmas Island to witness the British nuclear tests during the 1950s, many of whom have suffered terrible health problems ever since. For over 60 years the Veterans have sought recognition for their unique service to the country. Operation Grapple was the name of four series of British nuclear weapons tests of early atomic bombs and hydrogen bombs carried out in 1957 and 1958 at Malden Island and Christmas Island in the Pacific Ocean as part of the British hydrogen bomb programme. 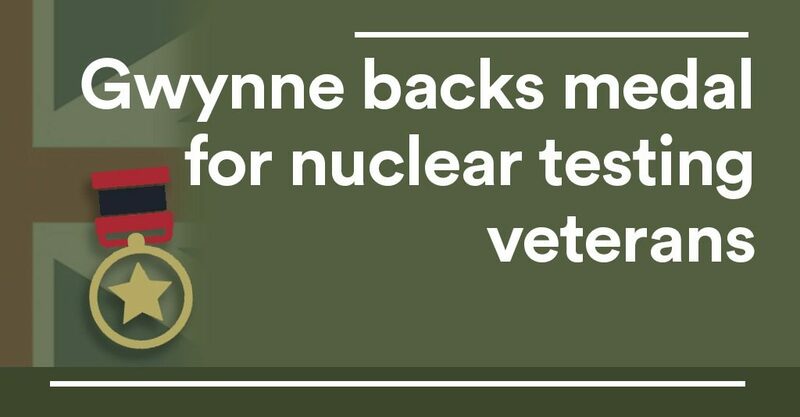 Gwynne joined comedian Al Murray who was in Parliament supporting The Daily Mirror led campaign for a medal for Britain’s nuclear test veterans. “It’s quite shameful that the UK is the only country which performed nuclear tests that hasn’t recognised those veterans they exposed to high levels of radiation.